A path in the valley, from St Saturnin de Lenne, in a Causse countryside. 1. Take the littel street, just in front of the church until the bridge. When you reach the road D2, turn left. 2. At the cemetery, turn right and walk on the road D582. 3. 300 m further on, at the cross, turn right, in direction of "Trescanous". At the mill, go straight on, until the hamlet "Orbis" (public bread oven). 4. 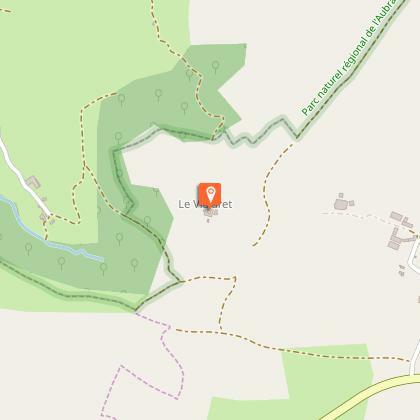 After the hamlet, turn right in direction of "Lenne". Go through the hamlet. The large building was an orphanage. It is now a holiday center. 5. At the church, turn right, cross the road D45 and go straight along the path just opposite. 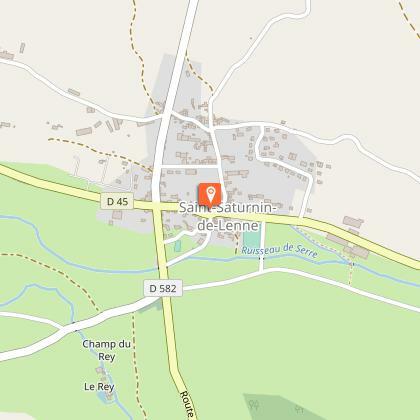 You join the village "St Martin de Lenne". 6. Before entering the village, turn right. Go straight on for 3 km. 7. 3 km further on, at the cross paths, marked by a cross, turn left in direction of "Grun", an old mansion of the XIVth century. 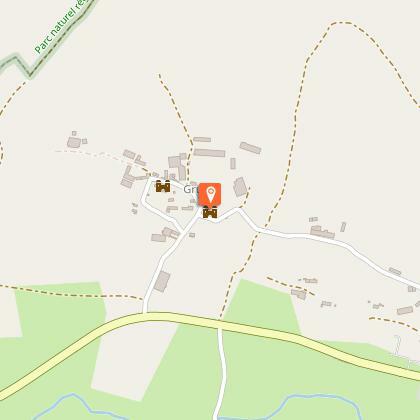 Pass through the hamlet and along the beautiful building. 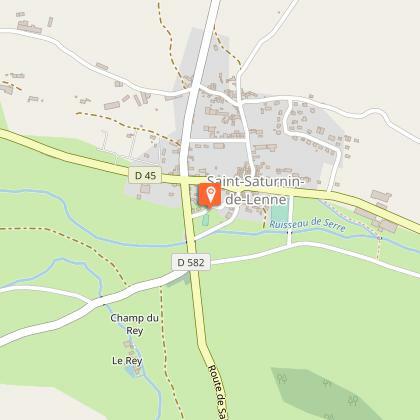 Continue until the road D2 and continue back to the village of St Saturnin de Lenne. The valley of Serre was always a place to be. The "villae" (Gallo-Roman domains) existed before the villages along the river. Highway A75, then roads D37 et D202. Line 10 TER Languedoc-Roussillon (http://www.ter-sncf.com/Regions/Languedoc_Roussillon/Fr/Default.aspx) to the station of Campagnac.